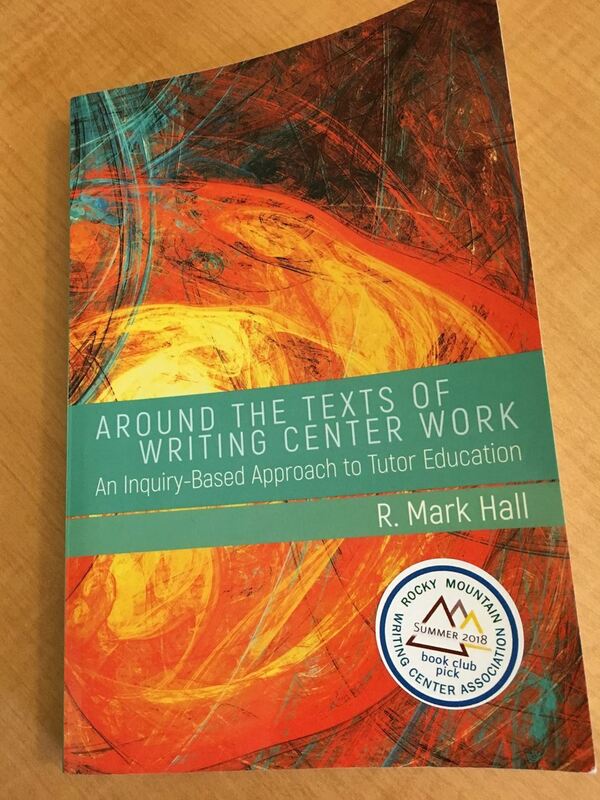 On June 28 and July 26, 2018, The Rocky Mountain Writing Centers Association conducted its first-of-a-kind Summer Book Club in order to discuss Mark Hall's Around the Texts of Writing Center Work: An Inquiry-Based Approach to Tutor Education. With approximately 25 registrants, the book club talked about various applications of the book during its first meeting, and for the second meeting the author, Mark Hall joined the discussion to field questions, and further explain the work. RMWCA hopes to have another Summer Book Club in 2019, but will be instating a monthly discussion group for the 2018/19 school year. More information about the monthly discussions will be out soon.